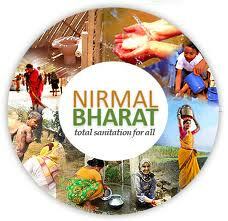 Aizawl, Nov 6 : With 79 per cent works having been achieved under the Nirmal Bharat Abhiyan, Mizoram is aspiring to become India's second Nirmal state, after Sikkim. According to sources from PHE, 78,851 individual households have been constructed across Mizoram, completing 88 per cent of the targeted 89,903 latrines. Fifty-five per cent works have been achieved in school toilets with 3,219 constructed from the project of 5,905 toilets. As many as 1,209 toilets have been constructed in anganwadi centres from the target of 1,630 toilets, achieving 74 per cent works. Of the targeted 560 community sanitary complexes, 549 have been constructed. As many as 71 solid and liquid waste management facilities have also been constructed. Implemented from 2003, the department has spent Rs 35.41 crore under this scheme. Of the sanctioned 43,31,58,000, the Centre has released Rs 28,87,36,000 and the state government also released Rs 7,93,50,000 from its matching share of Rs 15,21,50,000.